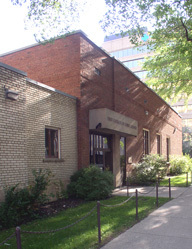 First Church of Christ, Scientist, Edmonton is a welcoming place of worship in downtown Edmonton. Its services and Reading Room are open to anyone who is seeking healing, searching for direction and answers to spiritual questions, or simply wishing to join with others in acknowledging God's loving care. The Edmonton church is one of many Christian Science churches throughout the world. It is a branch of The First Church of Christ, Scientist in Boston, Massachusetts. 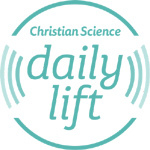 The Church of Christ, Scientist was founded by Mary Baker Eddy to "commemorate the word and works of our Master"—Christ Jesus—and to "reinstate primitive Christianity and its lost element of healing." Our Reading Room is located in the same building as the church. It is a place to study and learn more about Christian Science. The entrance is on 100 Avenue. 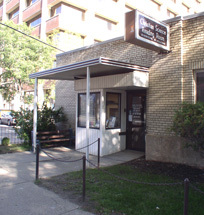 The church and Reading Room are located at the corner of 100 Avenue and 108 Street (10810 100 Avenue). It is one block south of Jasper Avenue and the Corona LRT Station (108 Street exit). There is free parking available for the Sunday service and Wednesday meeting in the church lot on the north side of the building. During the day there is limited parking available for Reading Room patrons and visitors on church business. Please ask the Reading room attendant about where to park.